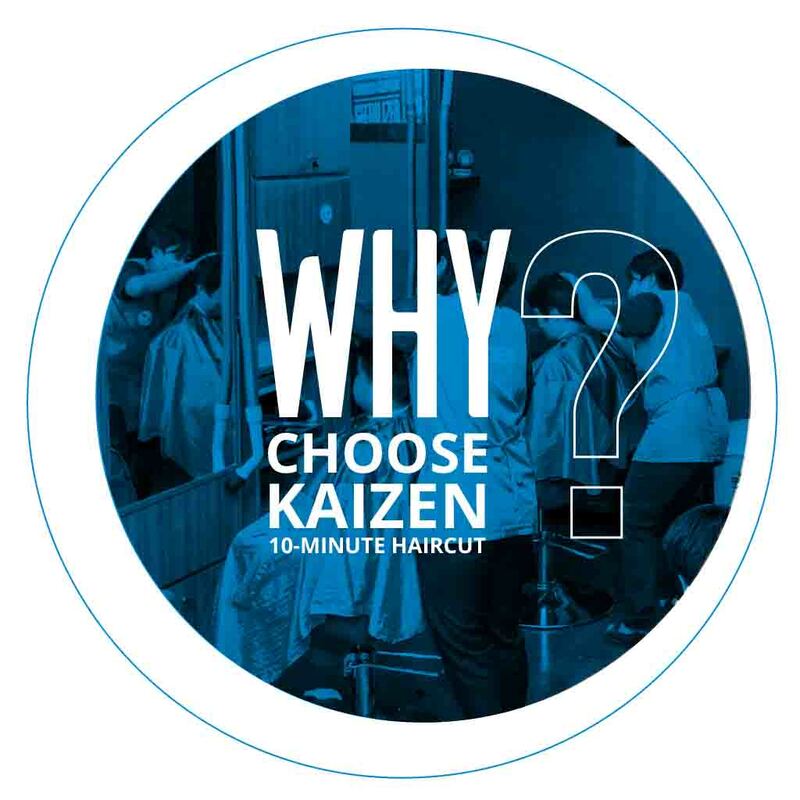 KAIZEN 10-Minute Haircut shops are scalable, manageable and profitable businesses that deliver exceptional service to each and every customer. With over 70 branches throughout Indonesia (and growing) we see huge potential in international markets. Our existing infrastructure is readily transferrable with ongoing support from our accomplished team. We work to support our haircut shops through ongoing training, new technology and optimized operational systems. The KAIZEN franchise business model is designed for business owners of all levels. Whether you are a passionate entrepreneur or an existing company seeking to expand your proposition, we welcome the opportunity to work together. 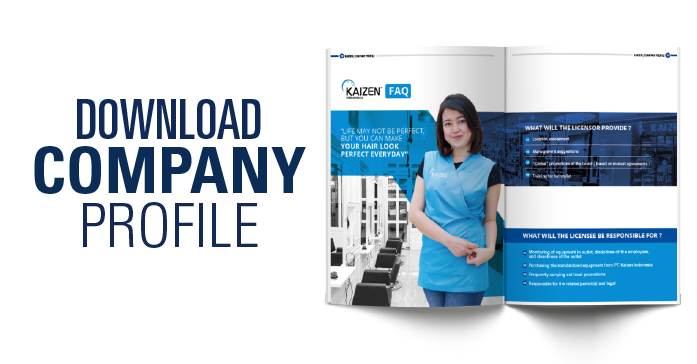 Based on our breadth of experience and existing data, KAIZEN 10-Minute Haircut shops have a payback period of 10 months, on average. This may vary between countries. Our distinct and contemporary brand design integrates into a variety of environments, providing an eye-catching and welcoming shop front that stands out from competitors. We also cultivate a strong and dynamic presence on social media with engaging, shareable content and frequent user interaction. By streamlining the traditional haircutting process, a KAIZEN 10-Minute Haircut shop becomes an essential service that's accessible and desired by many. For a relatively low investment, KAIZEN franchises offer high and sustainable returns. Providing a high level of service can guarantee returning customers and a steady income. WHAT WILL THE FRANCHISEE BE RESPONSIBLE FOR? 05. 'Master Franchisees' must work to expand the business to as many stores as possible within a short period of time. Kaizen was first established in 2004. When did Kaizen start franchising? Kaizen started its franchising venture in the year of 2013. How many shops does Kaizen currently have? Currently Kaizen has more than 70 shops across 15 cities in 4 countries. What are the ideal locations for Kaizen 10-Minute Haircut Shop? Who will provide the hairstylists? Hairstylists will be provided by the prospective franchisee, and Kaizen will train them professionally according to the Kaizen standard. In the case of hairstylist(s) resigning, can the prospective franchisee send other hairstylists for training? Yes, in this case, the franchisee is allowed to send other hairstylists for training, but all the related costs will be borne by the franchisee. How much is the salary of the hairstylists? This will be depending on the minimum wage of the country / the area. How much is the price of the haircut at Kaizen? The price of the haircut will be determined by the franchisee, taking into account all the costs related to the operation of the shop. What are the means of control of the store operation? The customer will pay directly through the cash register, thus the chance of hairstylists cheating will be minimized. The money in the cash register can only be opened by the person-in-charge, and should be taken out and deposited to the bank on a regular basis. In every outlet, CCTV will also be installed, the franchisee is advised to check the CCTV regularly. What is the use of the security deposit and how does it differ from the franchisee fee? Security deposit acts as collateral that the prospective franchisee will not misuse our brand, while the franchise fee gives the prospective franchisee the right to use our brand name. Is there any territorial restriction between one Kaizen shop and the other? Only one Kaizen shop is allowed in one mall/building, and as for the shops outside the building, the two shops must be at least 1 kilometer away from each other. In case the shop does not do well, can we move to another location? It is allowed as long as the franchise period is still ongoing and the initial shop is officially closed/stop operating.